Extreme Green Disinfectant is a commercial grade eucalyptus based disinfectant. Very effective at killing germs and pathogens, this product is a must have in virtually all situations from offices, bathrooms, toilets, food prep areas in fact anywhere where there are humans or animals. 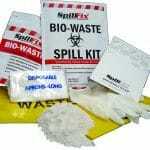 Envirosafe Solutions supplies industry with environmentally friendly products that are effective, cost competitive and easy-to-use. 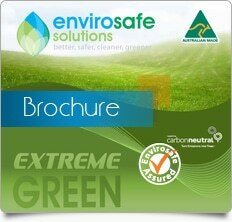 Envirosafe also places great importance on providing quality customer service and prompt delivery. 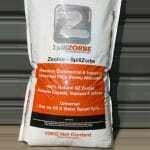 Extreme Green Disinfectant is environmentally responsible and safe for use in septic tanks. General disinfecting: dilute Eucalyptus Disinfectant at 1:30 with water. 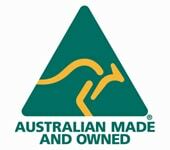 Heavy duty cleaning: dilute Eucalyptus Disinfectant at 1:20 with water for areas such as refuse compounds rubbish bins. Eucalyptus Disinfectant may be applied using a spray, mop and bucket, scrubber or broom.